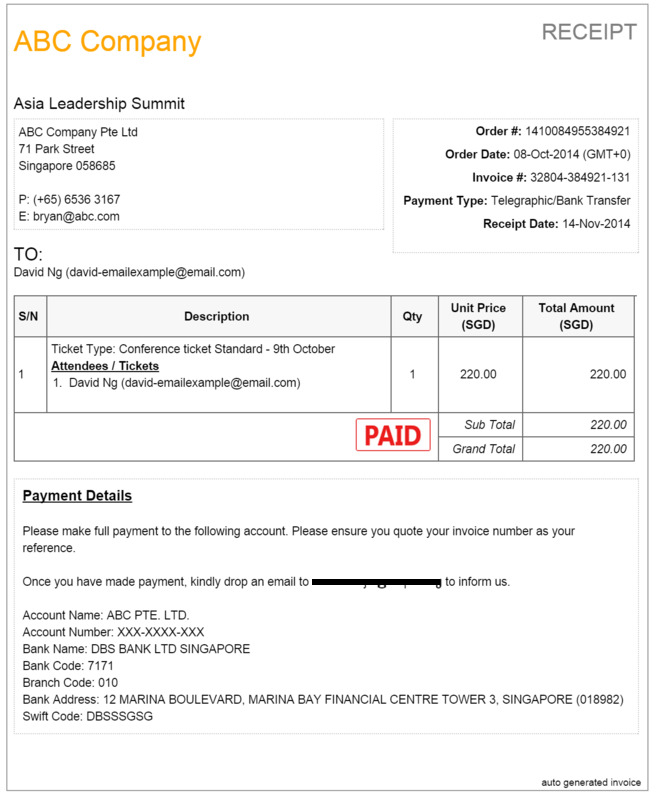 Can I set my company logo and billing contact information in the receipt/invoice? 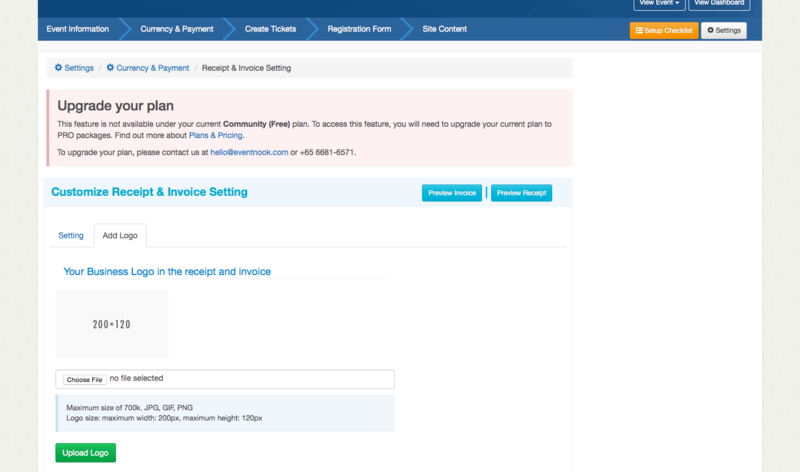 Cutomization of invoices and receipts a feature available to PRO Package users. 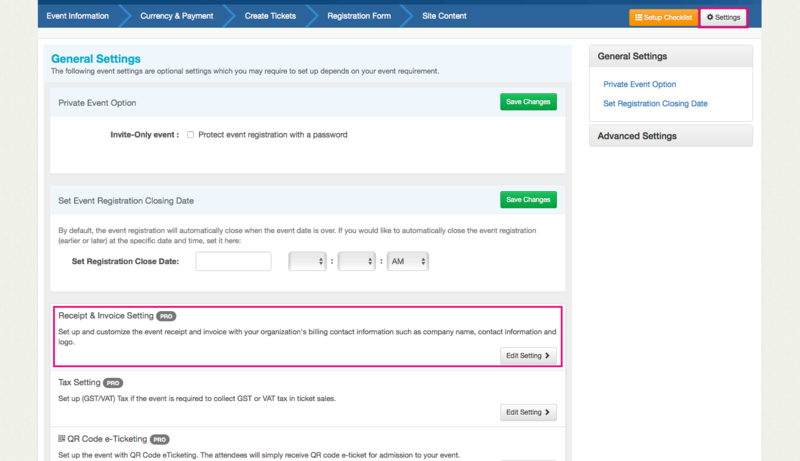 Users are able to upload their company logo to their receipt/invoice.